Samsung today launched a new accessory for its Galaxy line of products that isn’t just a gimmick but looks extremely useful: meet the Samsung Power Sharing cable for $19.99. 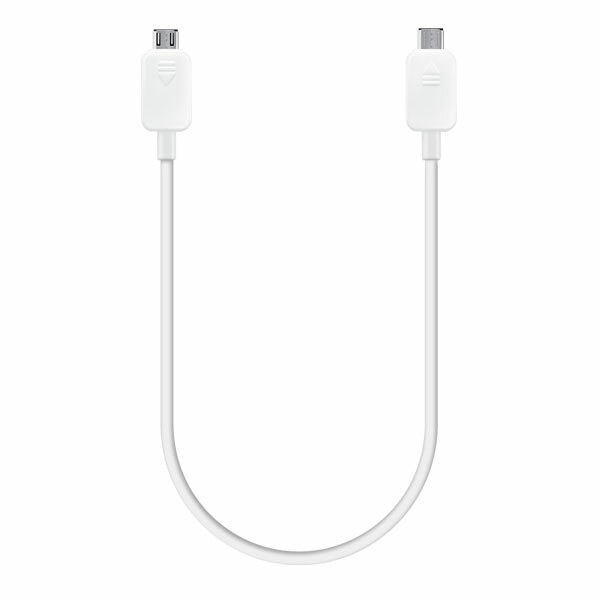 In short, the cable lets you use select Samsung Galaxy phones and tablets to charge your other micro USB devices. Samsung lists the following compatible devices for being able to share power: Galaxy S 5, Galaxy Tab S 10.5, Galaxy Tab S 8.4, Galaxy Alpha, Galaxy Avant, and Galaxy Note 4. Thus if you bought a Galaxy device this year, you’re good to go. As for receiving power, Samsung promises that the cable is compatible with “any device that can be charged via Micro USB cable” (that means smartphones and tablets, but also wearables and Bluetooth headsets). 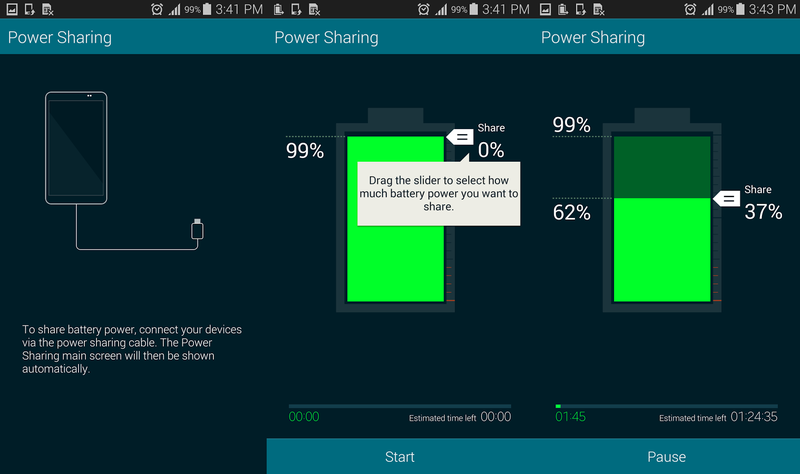 The company does warn that there are limitations to the process, which requires Samsung’s Power Sharing app for Android. 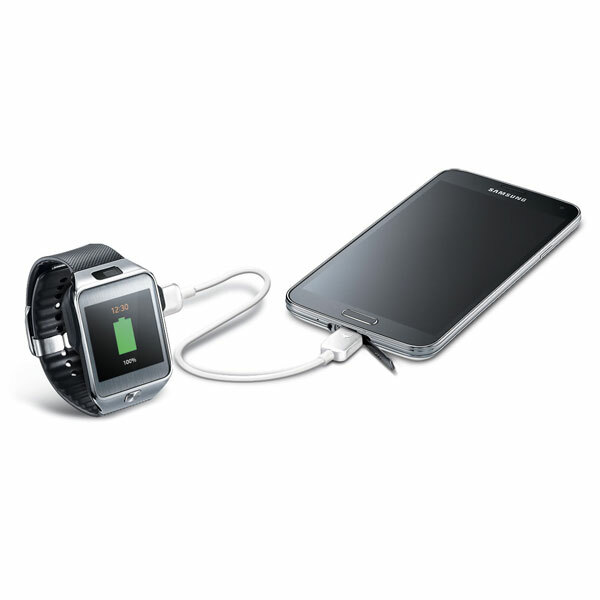 The full battery amount on your Galaxy device “cannot be transferred due to power loss or usage during the transfer process.” Nonetheless, if you can’t find a power outlet, and you don’t have a spare battery, this cable turns your Galaxy device into a savior.